Books, reading, developing your child’s imagination and sense of creativity were about as fundamental to my approach in parenting as things come. Paul, my husband who is Dyslexic, embraced this and we both read to our son Shea from a very young age – weeks old. It is no surprise then that some of his first words were lines from his favourite stories and his language skills were pretty advanced for his age. Unsurprisingly, for as long as I can remember he has loved books. As he got older Paul would build dens (Dad’s dens were always better than Mum’s apparently) and the two of them would read together inside. Shea loved the way his dad told stories as he was so animated and always added a sense of excitement or drama to the story. I loved seeing his eyes light up and his imagination growing day by day. He loved to act out things he had heard about in books. As Shea got older and was trying to understand his world he would often ask adults to “tell (him) a story about” this was Shea’s way of asking adults to explain something he didn’t understand. Shea is all about the questions. Laterally, Shea started pre school. The stories have moved on. The words are harder. The other night when I was reading to him before bed he said “no mummy it’s Mr Kark not Krank, you always read it wrong. Daddy knows his name” now, I know it’s “Krank” but I am caught between wanting to read the right words to my young impressionable son and a real sense of loyalty and protectiveness towards my husband. For some reason I don’t want Shea to know his dad struggles with words…. I am not sure why. I know that day will come very soon where Shea will understand that adults struggle too. We don’t know everything, we are not always right and we all have our own difficulties/ disabilities or just things we struggle with in life. But to Shea at 3 we still have all the answers. Paul is our hero. He never shies away from the difficulties he faces. I hear him spelling out words and learning about phonics because he knows it is important to Shea and he knows it’s important to me. I also appreciate how exhausting it must be for him. Reading will always be something I value and something I will encourage in both my children but what Paul has shown me first hand is that passion, imagination and time are what lights the fire in children. Shea begs his dad to take him to bed when he is home early enough from work because Paul tells him “a story in my mouth” instead of a book. You see Paul’s imagination is second to none (in fact second only to Shea’s) and is a very hard act for a Mum with a pile of Julia Donaldson stories to follow. It’s funny how I thought it would be my role to encourage reading, imagination and creativity in my children when Paul and his amazing, wonderful, creative, Dyslexic brain surprises and amazes me once again. I know things will get harder for Paul as the children grow and, who knows, maybe the children will be dyslexic too. What I do know is that the skills that Paul has had to develop to cope with his Dyslexia (creativity/ adaptability/ thinking on your feet) mean that Paul was much better prepared for the challenges of parenthood and it is a joy to see Shea lapping it up!! 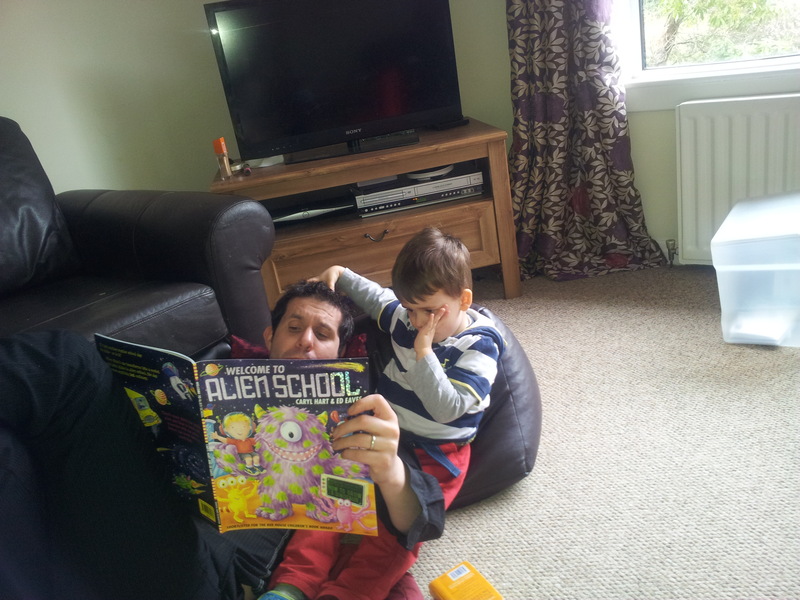 At what point do children become aware that mummy/ daddy are dyslexic and how should you to talk to them about it? And are there any useful books/resources to help them understand? An interesting blog from Dyslexic Victoria, is this a problem you have? As a Dyslexic I have issues with different aspects of verbal and written language. One of my pet peeves is people leaving phone messages. Callers have a tendency to start their message by saying their name quickly, launch into their message which can go on and on and then finish by saying their phone number so fast, it’s practically unintelligible. Dreams, what are your dreams? Another fantastic poem from our wonderful poet , can you find the hidden word? Younder; my true potential is younder! I am forever reaching for that place where my true self shines out of me (its just beyond my reach)! because my Dyslexic brain thinks such deep and profound thoughts. However this print society disables me because it places such value on the written word! Lies such lies my brain continually tells me. My brain (and the serpent within) collects all the things others believe and say about me. And it loves to remind me of them. My inner voice whispers other people’s words back to me. only to turn around (and try) to use my skills in the real world and suddenly the Dyslexia monster rears its ugly and awful head and I experience astonishing and devastating failures. X should be one of the least used letters in the English language. But X is a mark that most Dyslexics know only too well! Intense is what many people call me. Intense is what I often feel. Intense is how the world (and especially that of employment) all too often feels. A-1-OK is how I’d love to be and feel. A-1-OK is what I am striving for. A-1-OK are the marks I’d love to get (and to have achieved). I believe we should all try to take the A-1-OK approach to life and its variance. A-1-OK is how I’d like the world to think about learning and thinking differences. This years programme is launched, visit our website to find out more and get involved with some of the exciting events we have planned for Dyslexia Awareness Week 2013. 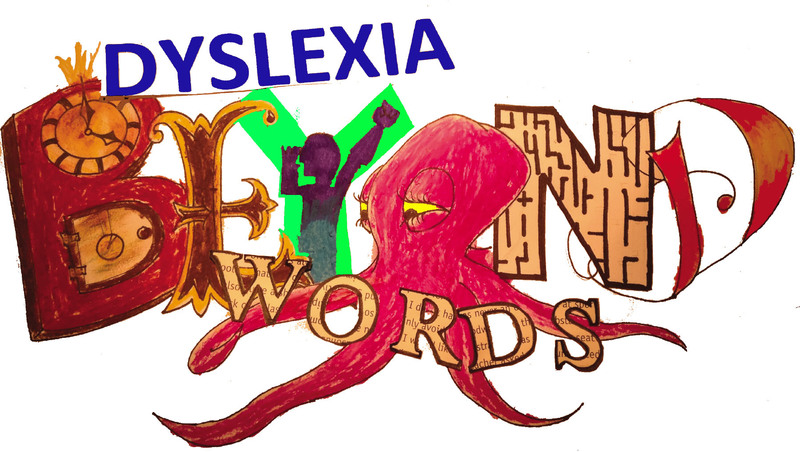 Dyslexia Awareness Week 2013 runs from 4th – 9th November the theme this year is Dyslexia Beyond Words. An exciting programme of events will run across Scotland to raise awareness of dyslexia and provide information and advice to anyone interested in finding out more about dyslexia.